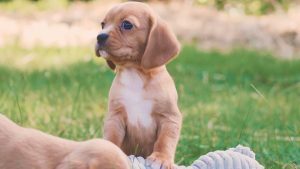 Purchasing a kennel or crate for your Beaglier puppy is arguably the best way to house train them for the house. It also provides them with a safe home-within-a-home where they can peacefully sleep. But choosing a kennel for your puppy takes more than just picking the first one you see. The first step is overcoming the natural repulsion of putting a dog inside what appears to be a cage. Many people do not like animals in cages and it’s a natural reaction. However, you should not think of it as a cage, but instead think of it as a den for your Beaglier to be properly housebroken and sleep. What follows are a few tips in selecting the right kennel for your puppy. You’ll want to choose a kennel that provides the proper size for your puppy and allows it to grow into an adult while still providing room. Of course, if you don’t mind purchasing multiple kennels as they grow, then it’s your money. 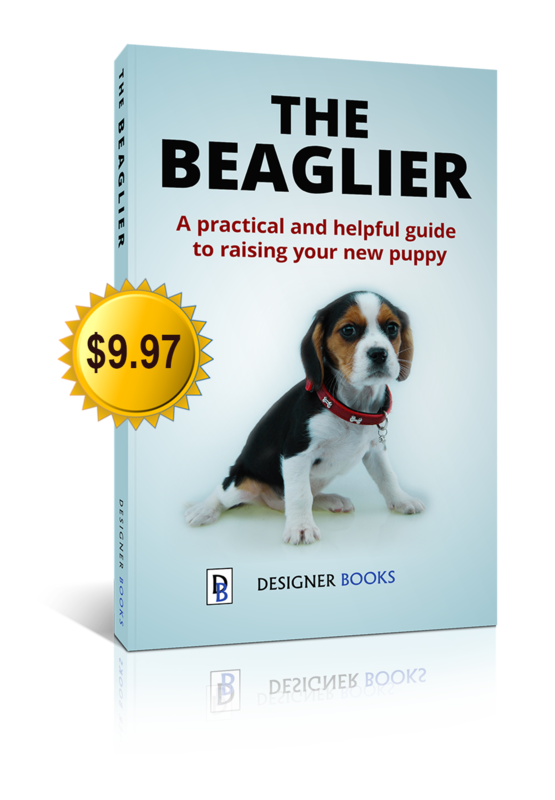 However, most people will probably not want to purchase more than one as their Beaglier grows up. 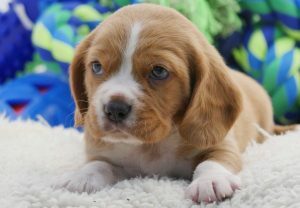 You can fill the excess interior space with bedding, chew toys, and other items, so that your Beaglier puppy will not use that part of the crate as a toilet. You’ll want the kennel to be strong, durable, and lightweight. This means having a leakproof floor in case of accidents and a steel bar door, so they cannot leave. The sides of an indoor kennel are usually a cage that allows for plenty of ventilation and ability to see out. Plus, if they are a portable model, something that can be carried on board an plane. Wire: Standard wire kennels are usually highly durable, secure, and provide enough portability so you can move them around the house. Be sure to get a high-quality model, so that it can stand the test of time. Travel: These are generally much smaller to make it easier to carry and helps keep your Beaglier still while you move them about. They can also be used for housebreaking your puppy, although you will have to purchase more than one as they grow into adult dogs. A proper kennel will be constructed so that safety is addressed in the right way. For wire kennels, this means that the wires are close enough, so the puppy cannot get their paw stuck. Plus, the wires are coated, so they do not rust and scratch. Putting some vet bedding inside is an inexpensive way to create a mattress and some raised sides, so the puppy feels more secure inside. Basically, a proper kennel will not only be safe for your puppy but keep your puppy safe from the potential dangers in the house. You do not need to go overboard in choosing a kennel for your Beaglier as all they need is a safe, secure place to rest. This means that you do not need to spend a lot of money, you just need to get one with enough space to work.